My first week in Bangkok has been wonderful! My induction week at the company has been both exciting and very informative. Last week was filled with introductions and interesting meetings, which gave me the chance to understand how the different departments work independently and their interconnection with each other. My project was also handed to me, which is to build a tone of voice workshop and knowledge about Oriflame Copy for the regional and local copy writers and I am so thrilled about this project! I have been collecting information regarding Oriflame’s brand and studying the material, which also gives me a deeper insight of what Oriflame is really about. I hope I will be able to share these insights with you in the coming weeks! Until then, I’ll show you how I spent my first weeks in pictures. Hope you will enjoy! 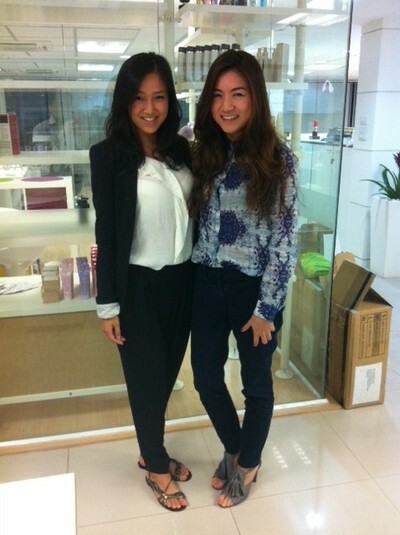 Me and my colleague Tang at the office. 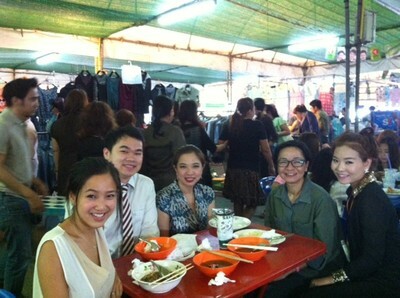 Traditional Thai lunch with my colleagues. 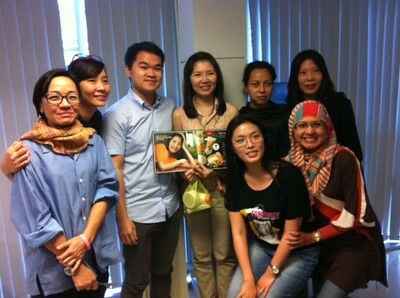 Farwell party for Gig (in the middle) at the office. Friday afternoon yoga for all the Oriflame employees. 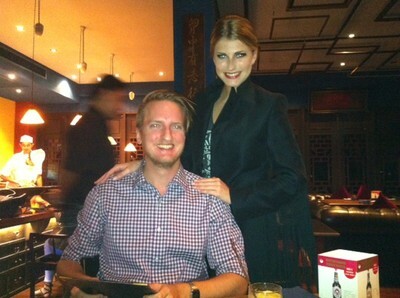 Dinner at a Sushi restaurant with Oskar and Caroline (two Swedish friends). Hello everyone! 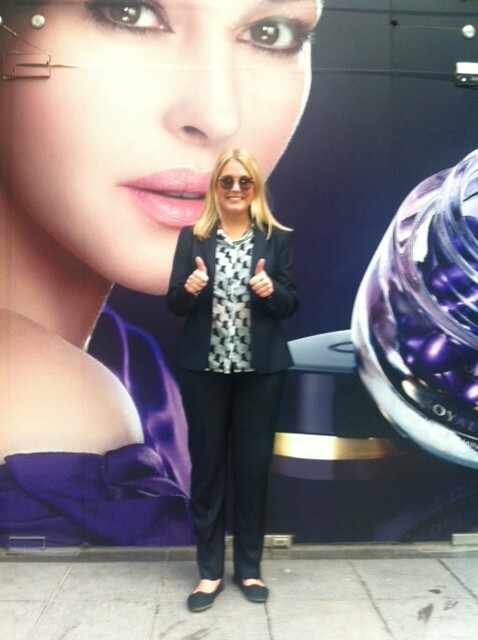 I am Fanny, a Global Summer Intern at Oriflame spending 10 weeks in Bangkok. I arrived 3 days ago and am still familiarizing with this exciting new city! By now I have enjoyed fantastic Thai cuisine, relaxing Thai massage, exciting local markets, interesting Tuk-tuk taxi and an amazing day at work. I had my introduction at the office yesterday and everyone was so nice and welcoming. During my 10 weeks, I will try to share my experiences as much as possible, bringing you into an exciting journey in the East. Yesterday I had my final presentation of my Project: Product Culture in Oriflame India. I was really excited and “a bit” nervous. The presentation was two hours (2 HOURS) and the entire management team and other key stake holders attended my presentation. It was great experience to conduct a two hours presentation to senior management. A first time experience but definitely not the last. During this project I have improved several skills and I have also developed as a person. The business skills that I have improved are leadership skills, project management, time management, prioritizing, work across cultural barriers, analyzing skills, information gathering, structure and scope a project (which is hard and takes a lot of time), presentation technique, information gathering, internal marketing as well as external marketing. At a personal level; the huge contrast between Sweden and India has emotionally affected me to a large extent, both positively and negatively. To start with; the poverty is bizarre and extremely visible. I have been travelling across the world but never faced this high level of poverty (not even in Cambodja). The poverty itself is terrible but the contrast to the rich Indian people and the goras (foreigners) is even more dreadful. And the worse thing is that you know that India do not have a security network that take care of all these human beings that have the same value as everyone else. I could write about this in hours but this is not the right forum for this kind of issues, but I felt that I was forced to mention it. The thing that I really love with Delhi is that you cannot control your days and I agree with my Co-intern: “Delhi is an organizational Caos”. You don’t know if you will spend your day in the “fantastic” Delhi traffic or if you are not able to work since the electricity switch on and off. 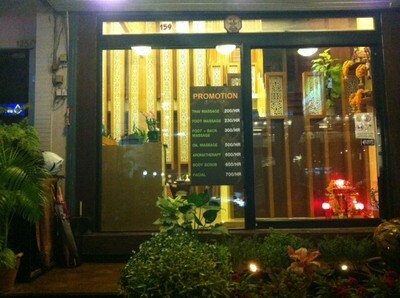 I love that you can travel to different tailors and custom made your own bags and clothes, that the Spa’s are open during the night, that the weather is pleasant (now, not in June), that people are extremely good at English and really helpful. These things are charming with Delhi. I love that everything is not organized as it is in Sweden and that something new happend all the time. It is FUN! This internship and my experience in India have ad high value to me and I am extremely thankful for this great opportunity. Unfortunately I broke my phone some weeks ago, but I will show you a picture that Malin took after my presentation. Now we are going to have a Farwell meeting for me!